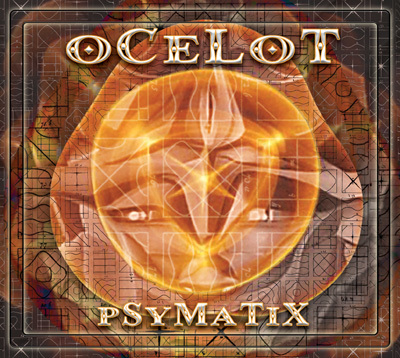 PsyMaTiX is the name of the new oCeLoT album on Dropout Productions. 10 tracks are woven together into one mass of solid Psychedelic Trance with a devastatingly marvelous result. The unexpected freshness of "Tribadelica" kicks off our trip. A twisted collaboration with Digitalist called "HappyFunLand" peaks out the first wave of tracks. The next level builds from nothing to surfing vast waves of energy at high velocities with the Warp Drive fully engaged. The final wave takes us beyond the known galaxies into the realms of ?? ?, where we reintegrate into the solid realm with FireStix. Explore resonance and structure with a drive and intensity that will lift your bones and stimulate your nervous system. We suggest listening on a 100KW soundsystem at 3/4 volume in the outdoors. Exercise caution if listening while eating or trying to sit still.